Most of the books I have read on the Civil War have been writen from a northern perspectiive. This book provides, of course, focuses on the southern perspective and helps to provide a more complete understaning of the early campaigns in the eastern theater. More to the point, it explains how Jackson was so succesful. 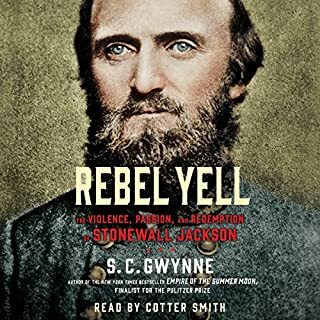 What other book might you compare Rebel Yell to and why? “William Tecumseh Sherman. In the Service of My Country: A Life” and “The Man Who Saved the Union: Ulysses Grant in War and Peace” are both excellent books that provide insight into the Union general who made a difference in the war. However, neither is as personal as this book. There is significant discussion of Jackson’s softer side, which came as a surprise to me. His relationships with the women in in his life, including a child he befriended between campaigns, shows a much different side of Jackson than we hear about in discussions of his battlefield successes. Sadly, many are ended by tragedy.